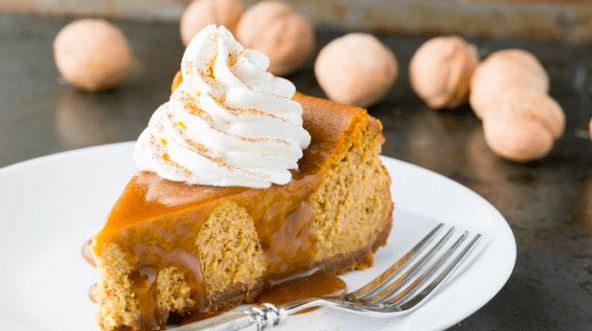 We’ve got another delicious recipe for you in celebration of National Pumpkin Cheesecake Day #PumpkinCheesecakeDay – yes, it is an actual thing and fall is the perfect time for us to add pumpkin to everything! Cheesecake is one of our beloved desserts and we cannot wait for you to try out this recipe. How to Make the Crust: Preheat Oven to 350˚F. 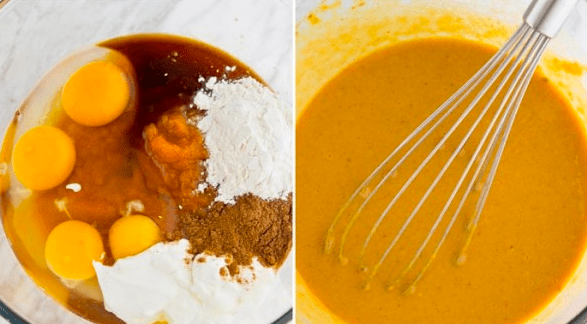 How to make the Pumpkin Cheesecake Filling: Preheat oven to 350˚F. • In the bowl of your mixer with the paddle attachment, beat the 3 packages of softened cream cheese and 1 1/2 cups brown sugar on med speed until light and fluffy and without lumps (5 min), scraping down the bowl once to make sure you don’t have chunks of cream cheese. 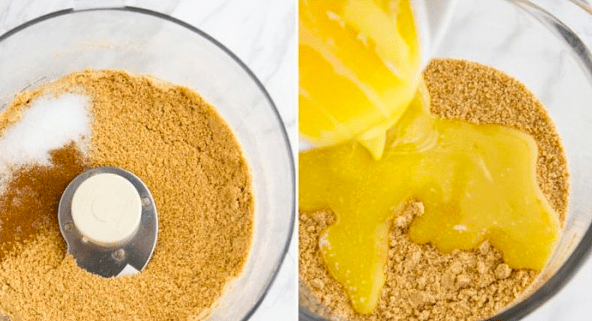 Tip: brown sugar is considered “packed” when it holds its shape as it comes out of the measuring cup. • Before serving, carefully remove cheesecake from springform pan by running a blunt knife along the sides of the cheesecake to release from the springform mold. Add desired toppings (see list above) and serve.